Water melon is a celebrated snack throughout the hot summer months. It refreshes us, quenches our thirst and prevents dehydration. In spite of the common belief that watermelon is made up of only water, it’s a nutrient packed fruit that provides great amount of vitamins, minerals and antioxidants with very low calories. Water melon is one of the high Lycopene foods and is essential for our cardio-vascular and bone health. Lycopene is also a well-known antioxidant that neutralizes free radical molecules known to cause cancer. The ripe fruit contains amino acid, citrulline which prevents accumulation of fat inside fat cells thereby helping in weight loss. 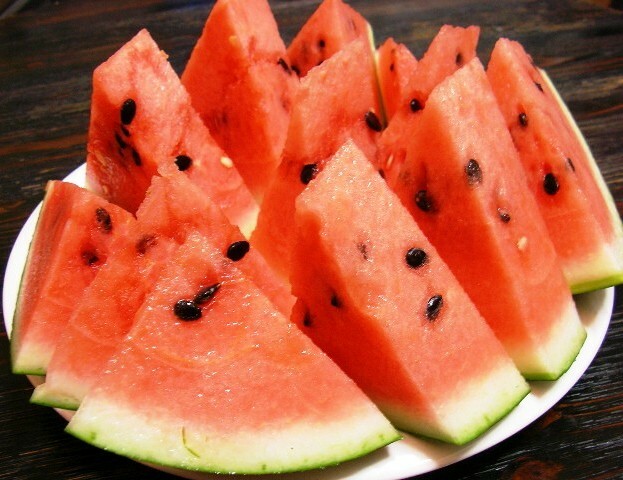 Watermelon is a very good source of vitamin C and boosts our immunity. Due to its high water (92 %) and fibre content, it prevents constipation and regulates the peristaltic movement of digestive tract. It’s a good source of vitamin A, which is great for our hair and skin.